These special days come around only once a year, and they're IMPOSSIBLE to avoid! So - celebrate 'em! 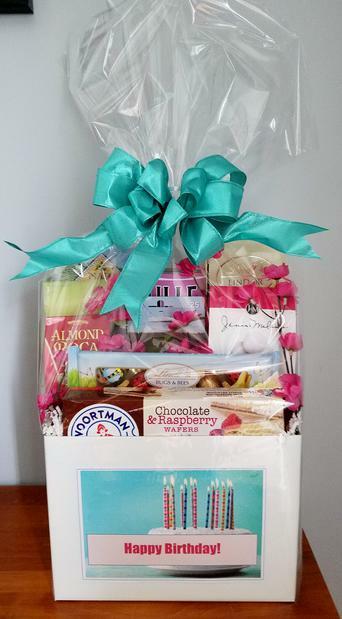 Make someone's birthday special with a celebration gift basket from O'Goodies! From the "cake" to the candles, hats and balloons - it's sure to delight, no matter what their age! And we're happy to customize the gift to the best of our ability for you! These darling mini pinatas are available in a bull shape or a donkey shape (shown). Each is filled with eight (8) small pieces of individually wrapped candy. The serape (blanket) on the pinata opens to reveal the contents inside - but we've also included a tiny stick, just in case you want to give it a whack for good measure! Check out our page on Special Events and Themes for ideas on a unique birthday gift! Contents customizable for allergies and age-appropriateness. Ingredients list for contents of pinatas is attached. We'll fill the birthday boxes with an assortment of goodies they'll love!! We can customize the box-front panel with the recipient's name!